"The reality of now—the unreality of all the rest." 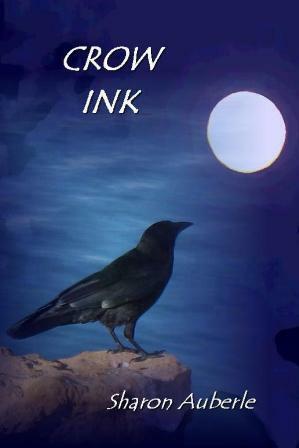 Sharon Auberle is the author of two books, Saturday Nights at the Crystal Ball: a Memoir in Poetry, and Crow Ink, a collection of her poetry and photographs. She loves water and winter, the subjects of many of her poems, and is happy to be back in the land of her roots, the Midwest, after nearly twenty years in the drought-stricken Southwest. 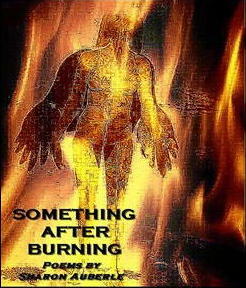 Sharon has recently ventured into the world of recorded word, via her new CD, Something After Burning, which features poems from her forthcoming book by the same name, with music backup from some the finest musicians in Door County, Wisconsin. The CD is available for $10 plus $3.50 S. & H., from the author at P.O. Box 701, Sister Bay, Wisconsin 54234. When not writing or out in the woods, Sharon can be found on Facebook or hanging poems and pictures at her website--Mimi's Golightly Café. 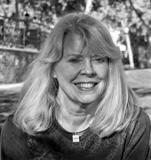 She freely admits that both take time away from her poetry. Learn more about Sharon here. I love the image of the heat pressing down on the two stalks of corn, and the layering of the images. Amazing how much this poem says in so few words. this poem...this one...reaches sweetly into the morning where I had surely been waiting to greet you...to swing into the day and celebrate. Gracias, judith Victoria, B.C. Like the idea of a Memoir in Poetry. The form perfectly captures the moment. I especially like the shape of this poem. Try reading the one, two and four word lines together and you get inside the poem even more. Beautiful poem, Sharon. Said so simply, its truth is like a prayer. The poem says it all with few words! Great capturing of an ephemeral, focused, lovely "now". Made me pause to look out the window and appreciate it! Thanks! So lovely Sharon -- I saw every word you wrote in a picture in my head. lovely and sweet, sharon. love those two stalks of corn in the heat! now is all we have. Sharon captures sharp images like all good poets. She directs the reader's attention and observation in a simple, yet powerful poem, which is cause for celebration.